3 Bedroom Detached House For Sale in Purley for Asking Price £560,000. 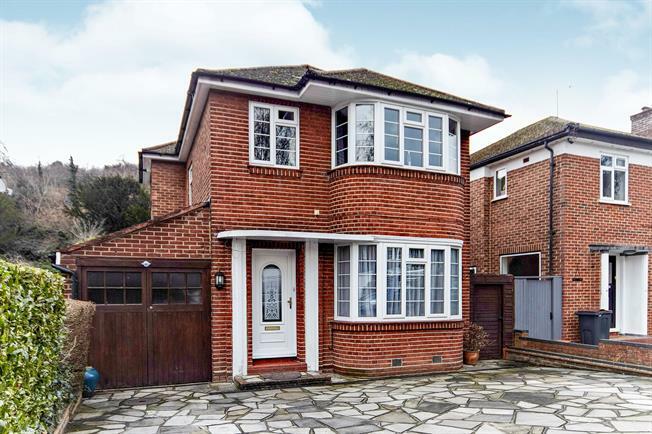 Bairstow Eves are delighted to offer to this extended three bedroom detached family home located in a desirable tree lined residential road. Having been lovingly maintained and improved by the owners during their 16 year ownership this home is presented in fantastic decorative order throughout. The accommodation in brief comprises of entrance hall, large bright & spacious living/dining room with solid oak flooring, recently fitted and fully tiled downstairs wet room, modern fully fitted kitchen with integral appliances. Head up to the first floor and there are two generous double bedrooms and a large single third bedroom. The family bathroom has recently been refitted to a high standard and boasts brand new Amtico flooring. Externally the rear garden is mainly laid to lawn and backs onto Purley Downs Golf Course having been landscaped by the owners ensuring all year round usability there is also a large summer house to the rear complete with power and light. To the front there is off street parking for 2/3 cars and an attached garage with power and light. Internal viewings are strongly recommended so call us today to arrange an appointment to view.